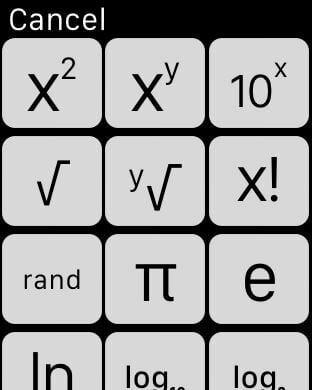 CalcNerd is a calculator for Apple Watch and iPhone. 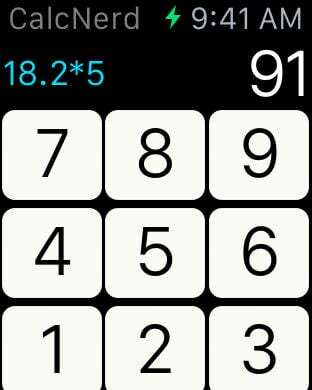 Calculations stay in sync between your watch and your iPhone, so you can easily start the calculation on the watch, then move to the iPhone if you need to do something more in-depth. As you type your calculation in, you'll see the expression you are building along with the current total. 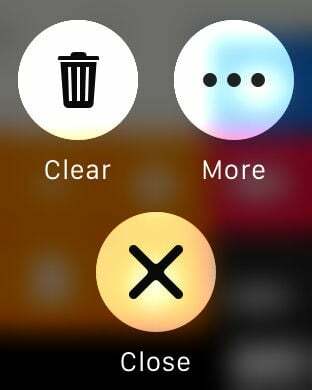 Press and hold the delete button to quickly clear your entire expression. 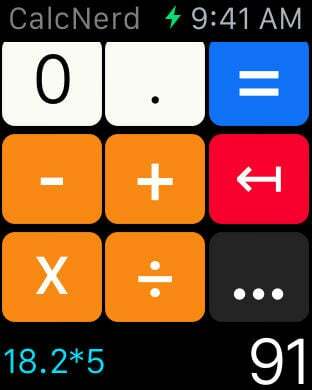 NOTE: CalcNerd does not require an Apple Watch. CalcNerd is also designed for iPad. The CalcNerd calculator includes all basic functions and operators including addition, subtraction, multiplication, division, exponents, and basic trigonometry. For a complete list of functions, view the screenshots. The Apple Watch app includes most but not all of the functions offered by the main app. Is there a missing function that you'd like to see added? Leave us a review and tell us what you'd like to see. To see other apps by "All Star Apps", search "All Star Apps" in the App Store or search "Weather Nerd".